Here is wishing you all a happy festive season from CASSE. It has been a big year for us all – a roller coaster ride which cycles despair, traumatic turbulence and hope. This newsletter includes a report from the latest Papunya Art Camp. It demonstrates the work of the Men’s Tjilirra Movement (MTM), in this instance, in partnership with Papunya Tjupi Art Centre. The MTM has had many cultural camps this year strengthening culture and the spirits of the people under the facilitation of Jamie Millier Tjupurrula. He meets people where they are at and helps them be where they want to be, achieving emotional shifts and togetherness between people. Jamie does not chase outcomes impatiently but waits and 'carries on' in the words of Martin Jugadai. Not much was happening day one but by day three the process of the camp gathered an alive momentum grounded in painting, tool making, song, dance and storytelling. In psychoanalytic terms we might say Jamie facilitates, sits, holds and works with no desire and in some reverie and recognition, which is no mean feat. And then this process allows a wonderful spontaneity and power in playful and creative movement, unexpected, unannounced, unknown, a being-becoming, where formless takes form, where indifferent spirits in a wounded desertified landscape – the ghostly holes of cultural dispossession gone missing - were transformed as cultural riches were found and reclaimed in living experience - in unison. And something new in continuity with the old ‘in memory’ emerged in the group of people on ancestral lands. Some may say this is not so much but as Anne Kantor sang to Jamie and myself on our inaugural trip to Kintore - 'from little things big things grow'. I add that in the moment of the ‘here and now’, which holds and is ghosted by the ‘there and then’ of sad sorry business, that dreaming, vitality and becoming can be catalysed and found, shared and live on ‘in memory’. Internal relationships and emotional worlds can take on new forms and in the external world, the cultural and racial divide can be transformed in the spirit of reconciliation, justice and humanity; from their spirit to ours. Thankyou to all who have supported CASSE in this last year. It has been a deep privilege for me to work with CASSE and the people in Central Australia. 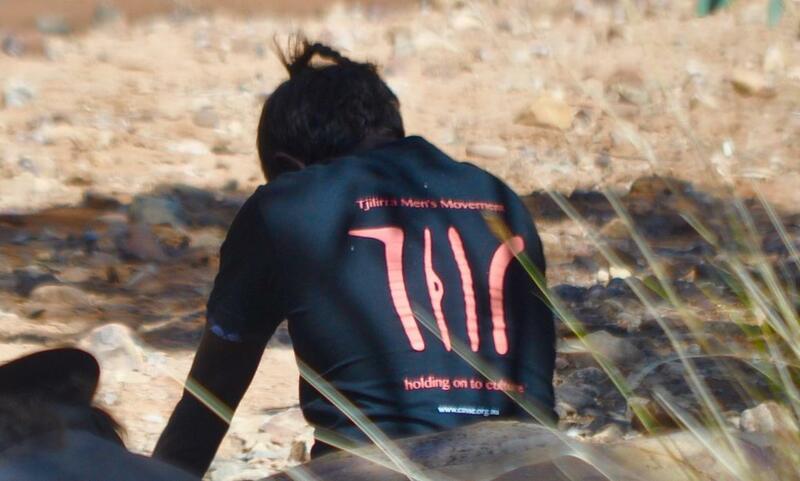 This year the Men’s Tjilirra Movement (MTM) partnered with Papunya Tjupi Arts to offer two Men’s Art and Cultural Revival Camps, generously supported by Arts NT. 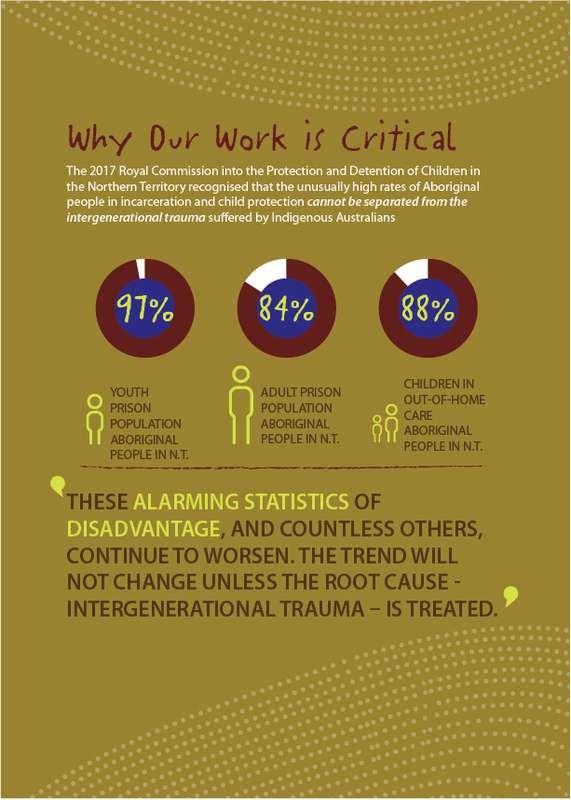 Following is an excerpt from the report from the second camp, written by Jamie Millier Tjupurrula, CASSE’s Program Manager for the Men’s Tjilirra Movement. Read the report from the first camp here. "There was a water hole not far from the Out Station so we went to that and had a swim. When we got back the old man wanted to cut a shield from a bean tree so I organized the young men to help cut the tree. One of the young men cut his own. The old ladies for the art centre came out so the men organized tea and a big BBQ and fruit for all of the visiting women. The women spoke about art to the young men but also the women spoke about passing on the stories. We ate and the ladies painted bush tucker on a canvas and told the young men what the story was. It was a great afternoon and the women were happy and the young men were engaged with the old ladies. The man who works at the art centre, and it's his outstation, got one of the old ladies to sing and he danced to her song. This was amazing and some of the other ladies joined in singing. The whole group felt the power of it and the young men watched. This was also funny in parts as well, with the group yelling commands on how to dance, but I give credit to the man for invoking this performance. When I spoke with the art centre manager she told me about the man and how since the last trip he was more active with helping the old women from the art centre. I spoke to the young men that night and told them of the power they are gaining by being more of a part of their culture. I said if they continue their journey with song, dance and the stories they will be more powerful and have a better life. The young men spoke about the young men that didn’t come. I told them we need to do what is good for them and maybe others will see them and want to come, too. I said not everyone will come with us but the time is now to get our lore back, before the old people pass away. We all started to clean and pack some of the camp up. The young men were amazing and helpful." 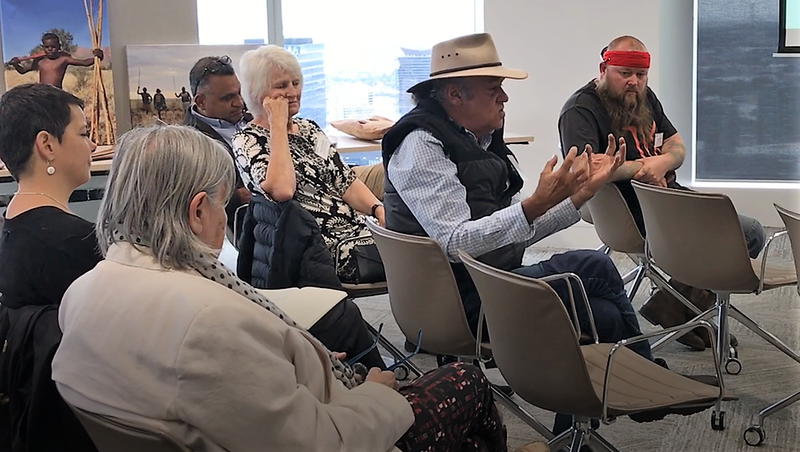 “Self-empowerment and mental resilience through cultural revival” was the topic of a briefing luncheon hosted by the Darra Foundation, presenting the work of CASSE's Aboriginal Australian Relations Program and the Men's Tjilirra Movement. Opening proceedings, CASSE Board member Ken Lechleitner Pangarte acknowledged the Traditional Owners and asked guests to remember where they were in 1984. That was the year of first contact for the Pintubi Nine. Two years before the space shuttle exploded, killing the first female astronaut. 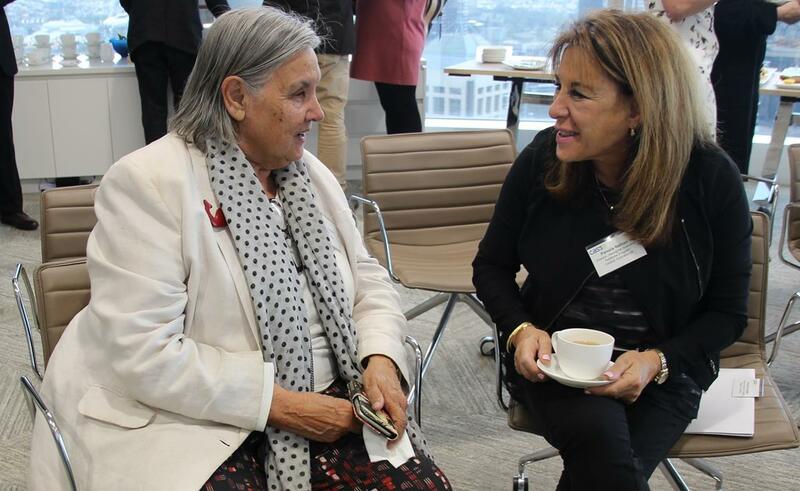 Pamela Nathan shared CASSE's journey over the past seven years, which was built on the foundation of Pamela's work with communities, organisations and individuals, including Ken's father, in central Australia over the past 30 years. Highlighting how the psychoanalytic principles of listening, thinking and sharing inform CASSE's work, Pamela shared how CASSE forms partnerships with organisations at the 'front line' of delivery to co-create, co-fund, co-direct and co-manage initiatives that change minds and save lives. Fostering safe, supportive places where people can find their voice, have their voices heard, their stories of pain experienced and told in order to enable new stories and lives, CASSE seeks equality, truthfulness, recognition, reconciliation, empowerment, self-determination and psychological health for First Nations people and our Nation. 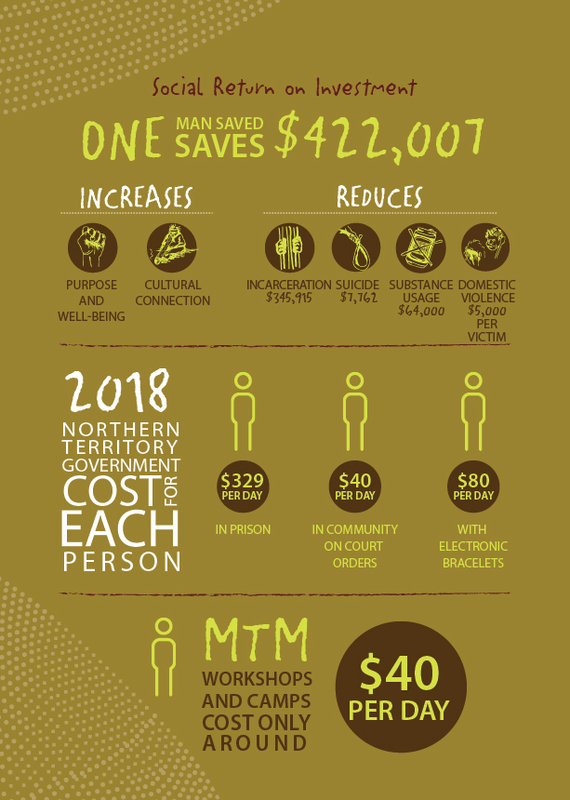 Two key outcomes of CASSE work have been the establishment of the Men's Tjilirra Movement in the western desert and the completion of the Kurruna Mwarre Ingkintja - good spirit men's place - Aboriginal Men's Shed Research Project in Alice Springs. Jamie Millier Tjupurrula , Program Manager for the Mens Tjilirra Movement, shared the story of the MTM and the MTM's plans for the future, including employing and mentoring MTM leaders in each community. Ken Lechleitner Pangarte, speaking as the Research Officer on the Men's Shed Research Project, shared the key findings of the project, the subsequent birth of BOTAC (Blokes On Track Aboriginal Corporation), and plans for the future. In closing, CASSE Board Member Chris Croker presented an overview of CASSE's potential and future direction, highlighting the 'gap' between private philanthropic funding and government funding. In the discussion that followed, Vincent Vincent Forrester, a consultant to the Mutitjulu Foundation, spoke powerfully of the stories of abuse and psychological abuse - ongoing and in living memory. He was happy for us to share the following excerpt that was filmed (click on image below or here to view video). 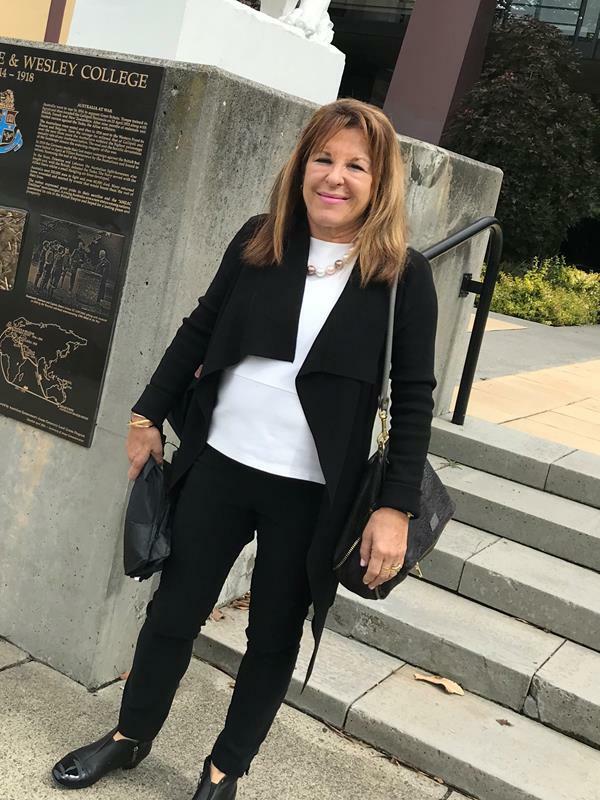 Special thanks to Anne Kantor and the Dara Foundation for hosting this event, and to HFW Australia for providing the venue and supporting this event. "Many thanks for your follow up after Thursday’s two successful workshops. That night many Yiramalay staff shared with me how important it was for them and how much they took away to process in relation to their own experience." 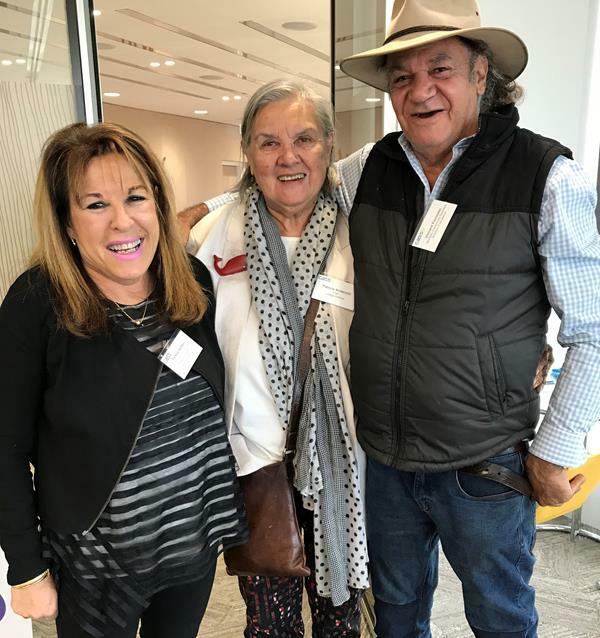 The 'Kurruna Mwarre Ingkintja – Good Spirit Men’s Place Research Project Report' and 'Talking powerfully from the Heart - interviews by Ken Lechleitner' are valuable reading. Click on images below to download.